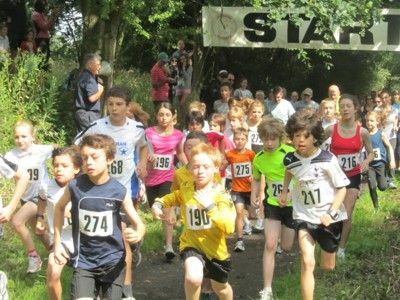 The Rotary Club of Cranleigh and Cranleigh Tortoise & Hare Runners will be holdingthe annual 10 K and 3 K junior running events on Sunday, 5th July. All profits go to Rotary charities. The junior event starts at 10.15 am and the 10 K starts at 11 am from Snoxhall playing fields. There is ample car parking in Village Way, close to the race headquarters, which are located in the Band Room, adjacent to the Leisure Centre. You can download an entry form from the Cranleigh Tortoise and Hare Runners website http://www.cranleighrunners.com/. Alternatively e-mail Rotarian Brian Vine (mail@brianvine.com), phone: 01483-275721, or call in at Celebration Cakes in Cranleigh High Street. A medal will be given to all runners, plus prizes in the 10 K and for the first three boys and girls in two age categories in the 3 K event. Entry fees are £12 for Club affiliated runners, £14 for unattached runners and £5 for juniors. Postal entries close on 2nd July 2015. Entry on the day will be £17 for the 10 K and £7 for juniors.